“Make all the trades through the dark pools so it masks what we’re doing. That way we’ll preserve our head start, which will not be a long one.” This is how Bobby Axelrod instructs his traders to get rid of his natural gas positions in the latest episode of the famous TV series, Billions. Dark pools are private trading venues which provide a platform for anonymous trading of securities. Contrary to traditional (lit) exchanges, where buy and sell orders are clearly displayed in the order book, dark pools do not have any pre-trade transparency. In this article we are going to explain what dark pools are, how they are regulated and what sort of problems can arise. The article is structured in the following way: the first section introduces basic notions about the workings of dark pools, the second section shows market trends and volumes, the third section presents some potential risks of misconduct by dark pools operators and finally the fourth section explains the current dark pool regulatory landscape in US and EU. The original purpose of dark pools was to allow investors to place large orders with minimal adverse price impact. Order books present a trade-off between immediate execution at current price by placing a market order and waiting for a better price, using a limit order. By using a limit order however, the trader is accepting exposure to some risks, including risk from revealing the volume that he is willing to trade. As a consequence, his orders may be susceptible to front running or similar predatory practices. Execution of such order is not guaranteed, but instead depends on future incoming orders and price movements. Placing a limit order can therefore lead to an adverse price effect with potential costs for the trader. In this case, a trader might prefer to place a limit order in a dark pool, not having to disclose his order in the order book. Since dark pools do not display liquidity, the order would be effectively hidden from the market. Those who execute against it would have no idea who they are trading with and how large is the order, thus minimizing market impact. Dark pools’ effect on the overall market condition is still a subject of debate among regulators, researchers and industry professionals. In theory, introduction of multiple trading venues should lead to increased competition and thus lower transaction costs. However, fragmentation of the market between lit and dark order books may lead to changes in market’s structure and dynamics, leading to destabilization or lower efficiency, through liquidity fragmentation and issues in price formation. Since the rise of dark pools, in early 2000s, orders started to migrate from lit exchanges to dark pools but at the same time overall volumes grew. Generally, dark pool market share tends to increase when order book depth is high, when order book spread narrows, when tick size is large and when traders seek protection from the price impact . Theoretically, dark pools offer numerous advantages over lit markets, both for institutional and individual investors who look to minimize the risk of adverse price movements or being exploited by predatory high frequency trading (HFT) algorithms. However, this is not always the case. Not only there are HFT traders operating in some dark pools, but there were also several cases of misconduct by dark pools operators themselves, which have sparked discussion on whether a heavier regulation might be needed. In order to understand the misconducts, it’s good to have a clear understanding of how exactly predatory HFT can take advantage of institutional and individual traders. HFT firms rely on using algorithms and the superior latency obtained by co-location (proximity to the exchange venue) and better infrastructures, to collect and react to data on the liquidity in order books and execute trades more quickly than other market participants. High frequency traders operate using incredibly fast computer and data transfer infrastructures in order to gain advantage over regular users. Thus, one of the most commonly used and controversial techniques used by HFTs is latency arbitrage, in which they make risk-free profits by arbitraging price differences between exchanges in a matter of microseconds. According to some industry professionals, despite not being illegal, it undermines principles of fair markets, as it may create illusion of high liquidity (ghost liquidity) and may lead to more price slippage for large orders made by institutional investors. Another important type of predatory HFT behaviour is electronic front running. In this case, HFT firms exploit the time window created by having smaller latency than large investors. HFTs thus race ahead of them and in a matter of microseconds buy offered shares and instantly resell them to the same institutional investor who placed the order, earning a small profit along the way. Obviously not all HFT is predatory. The majority of HFT firms are regular algorithmic trading companies who complete their transactions at high speed. It may be argued that HFT algorithms significantly increase liquidity in the markets through passive market-making strategies. These strategies minimize spread between buy and sell prices and increase depth of the secondary market. Moreover, since HFTs require high volatility to make profits, as the competition between them grows, they also help to reduce price fluctuations, which may be seen as a positive aspect for many investors, by reducing the risk of obtaining an unfair price at a given moment. 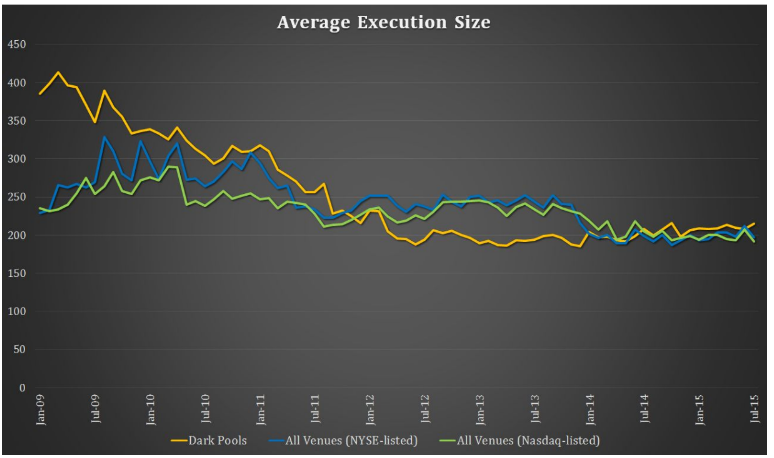 Thus, many dark pool providers made a case to allow some HFT into their venues. This was meant to increase fill rates, market share and execution volumes. On the other hand, allowing too many HFTs can lead to dark pools’ unique characteristics to deteriorate. 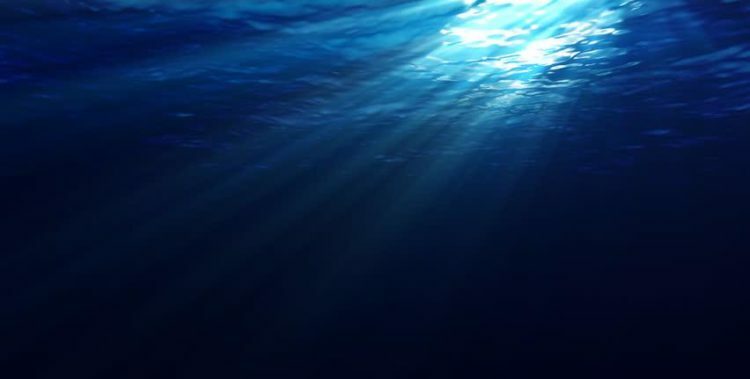 The first and one of the most significant events in the history of dark pool misconducts took place in October 2011, when the SEC settled a case against a relatively small dark pool – Pipeline Trading Systems LLC and its two subsidiaries. Pipeline, founded in 2004, originally aimed at providing large institutional investors with a secure venue, free of predatory HFT or front-running, and allow them to execute block trades safely. However, 5 years into its operations, Pipeline was running a prop desk through its subsidiary, which had unfair informational advantage and had participated in almost 95% of all trades taking place in Pipeline’s dark pool, skimming some $32 million from investors using the venue. Soon after SEC intervention, investors fled to other dark pools leading to a rapid collapse of the company. Four years later, the SEC intervened against UBS’ dark pool. It was the first intervention on a major dark pool operator. The Swiss bank allowed some of its clients to place orders using sub-penny increments of economically insignificant value, allowing them to gain execution priority over other orders. The SEC never disclosed what was the potential gain of UBS in that process. UBS paid a penalty of around $14 million in total, which some may argue indeed was an economically insignificant value for the bank. The case also had no impact on its dark pool volume. The lesson for investors seems to be that no venue is absolutely safe from malpractice and with the above cases turning out to be true, it means that between 2014 and 2015 as much as 43% of all alternative trading systems (OTC and DP) might have been subject to some kind of wrongdoing. In the US the relevant authorities are the Securities and Exchange Commission (SEC) and the Financial Industry Regulatory Authority (FINRA). The FINRA is a self-regulatory organization which, jointly with NYSE and Nasdaq, operates the Trade Reporting Facility (TRF) that allows dark pools to report trades and integrates them in a consolidated data feed. Dark pools in the EU are regulated under MiFID II, a 70 000 pages regulatory behemoth which came into effect in January 2018. The new regulation was enacted after a year-long delay that allowed regulatory agencies such as the European Securities and Markets Authority (ESMA) to build new technical infrastructure for effective enforcement. Besides the double caps, MiFID II rationalized and expanded regulations over Systematic Internalisers (SIs). SIs are firms that execute clients’ trades against their own book, acting as market makers. The SI regime was initially introduced by MiFID I in 2007 but they were not very popular as bank preferred to operate dark pools. The introduction of MiFID II completely reshaped the economic incentives. Indeed, SIs are subjected to a lighter regulation than dark pools, such as more relaxed rules on tick sizes and reporting obligations. Even before MiFID II took effect, some commentators voiced concerns that SIs might constitute a loophole and effectively defeat the very purpose of the DVCs and dark pools regulations in general. For example, a SI could set up an automated system which quotes from various sources (other SIs included) and executes automatically the client’s order. The response of ESMA was initially to publish a clarificatory Q&A document that indicated the requirements to register as trading venue if a SI engaged systematically in riskless back-to-back transactions or if it advertised their matched principal trading activities rather than engaging in risky transactions, which are supposed to be characteristic of the SI regime. Nonetheless, SIs increased from 14 prior to MiFID II to more than 100 – and volumes followed suit. In February 2019 ESMA published SI calculations for equities  after a six-month delay due do bad data, and for similar reasons it has delayed derivatives SI calculations to 2020. Indeed, data has been a major obstacle in the implementation of MiFID II across the EU and whether authorities can effectively enforce this kind of regulations remains to be seen. “Dark pool trading strategies, market quality and welfare” by Buti et al.